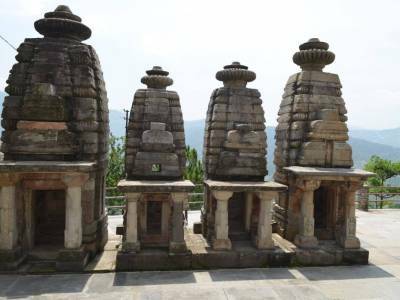 The Katarmal Sun Temple is one of the rare sun god temple in the world, dedicated to the Sun God (Surya Dev) and situated in Almora district of Uttarakhand at a height of 2100 meters from the sea level. The Katarmal is a rare Sun Temple show the rich engineering and architectural prowess of ancient India, the temple is built in such a way that the first rays of the Sun during sunrise will fall on the Sun God Statue present inside the temple. 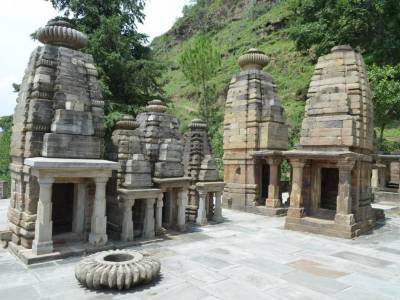 It has many smaller temples around the main deity of Surya. The main deity is known as Burhadita or Vraddhaditya. Other deities like Shiva-Parvathi, Lakshmi-Narayana are also there in the temple complex. The temple is believed to be constructed by Katyuri king Katarmalla in the 9th century. 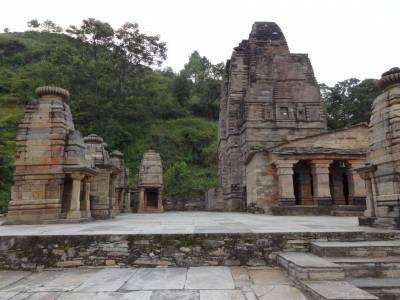 Most of the ancient temples including Baijnath, Bagheshwar and Jageshwar built in Kumaon region are by Katyuri kings but surprisingly this contribution of the Katyuri kingdom is not found properly documented in the history. This is very old temple with pleasing architecture. 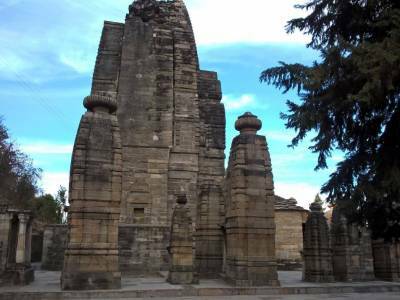 The Temple kept preserved by Archaeological Survey of India’s (ASI’s) and initiative to restore the temple has led to the building of a road till about 200 meters away from the temple. Majority of the portion of the temple and sculptures are lost to time and theft. The main idol was stolen and the carved wooden doors are removed by ASI and kept in the National museum in Delhi. 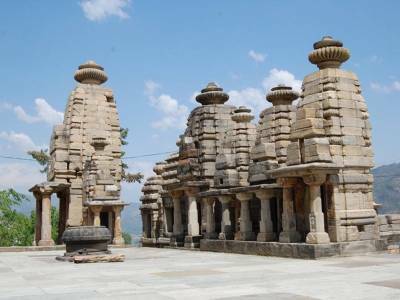 Hidden inside cluster of hills in Almora, Katarmal Sun temple is the perfect offbeat destination. Though the temple itself is small when compare it to with the Sun temple of Konark, it is still the largest in North India and has stark similarities to its counterpart at Odisha. The Katarmal Sun is about 17 kms from Ranikhet, about 35 kms from Binsar and about 70 kms from Nainital. NOTE The door of temple is kept closed and is opened only during the time a visitor arrives and is closed back when the visitor leaves. Get quick answers from travelers who visit to Katarmal Sun Temple.